�����For example, the 1866 S Seated Quarter had an original mintage of 28,000 coins. However, NGC and PCGS have graded only a total of 24 coins in XF and all higher grades. Even some of these can be resubmissions so this total is likely a little high. Granted, there are probably many circulated coins in collections that have not been certified; and most of these would not be certified because of minor problems that most collectors tend to overlook. 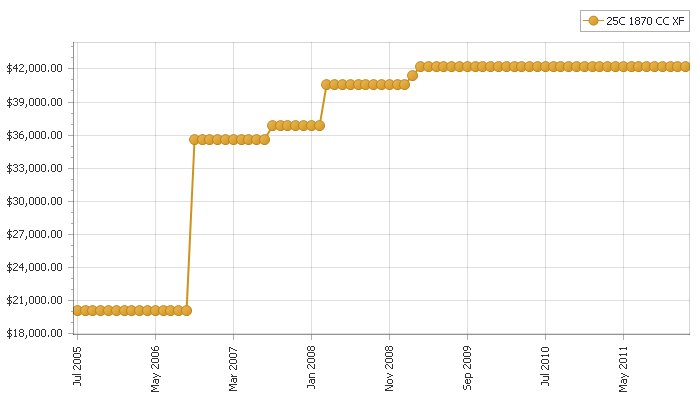 The following graph shows the progress of the FMV for the 1866 S Seated Quarter in XF from July 2005 to January 2011. �����A prime example of a true rare date is the 1870 CC Seated Quarter. This had an original mintage of 8,340 coins. There are only 16 coins certified by the two grading services in XF to MS64. 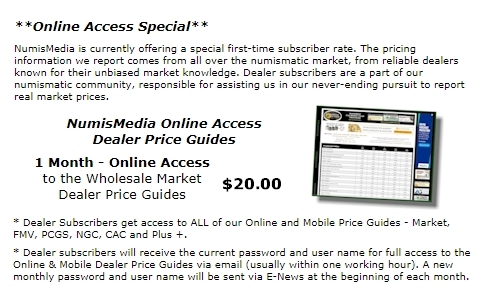 The highest grade we list in the FMV is an MS60 at $85,630. 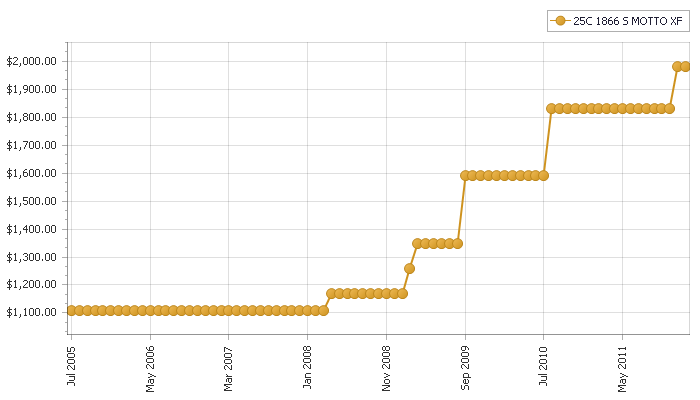 The graph for this coin in XF shows an increase of nearly 110% from July 2005 to January 2011. In addition, when a problem-free coin does come on the market, there is no telling how much premium it could bring in a hotly contested auction format.